For many, decorating a Christmas tree is not only the highlight, but also the kickoff to the holiday season. Now more than ever people are expanding their horizons when it comes to Christmas tree themes. 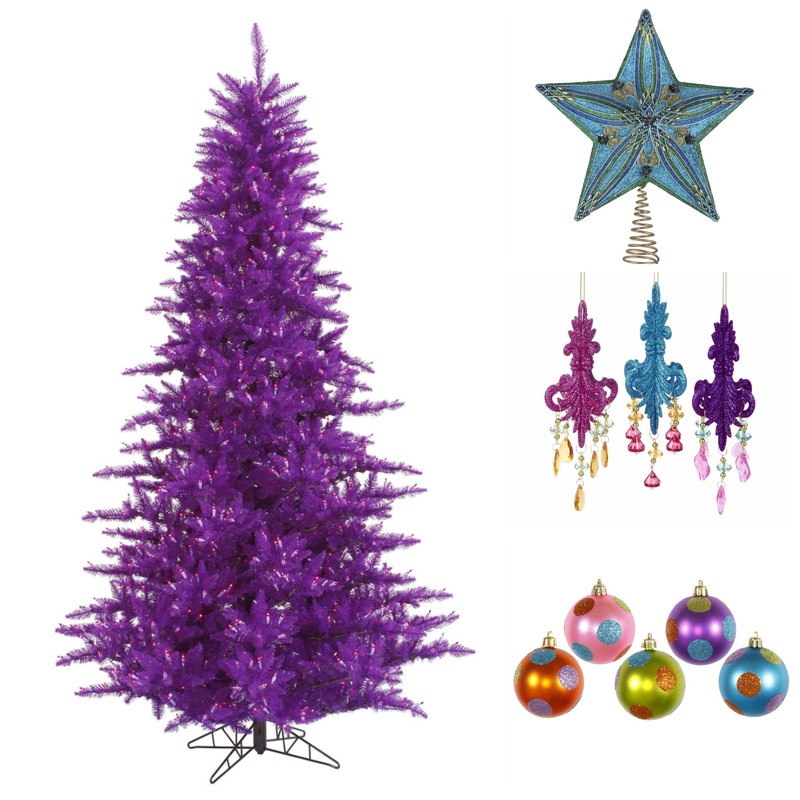 This includes the trend of decorating colorful artificial trees. One of the most popular hues that consumers are interested in is purple. This is because it’s able to cater to a wide range of color schemes and provide great ambiance lighting. 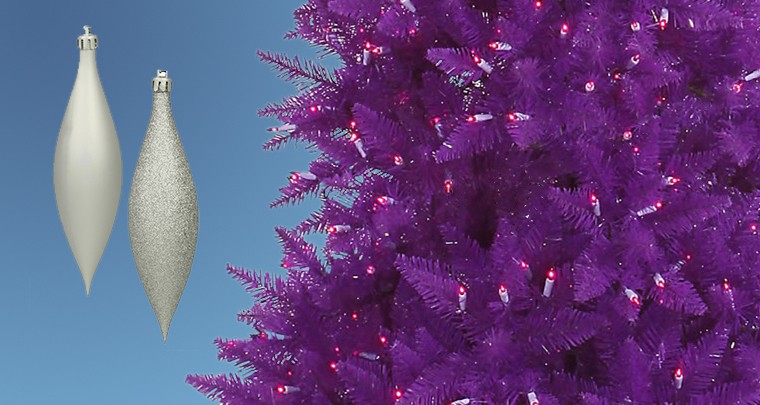 Start by choosing the perfect purple Christmas tree for your space and budget, this can include purple fir trees or flocked purple trees. Then focus on the room that the tree will be going in and decide on if you should be looking for warm or cool colors for tree accessories. 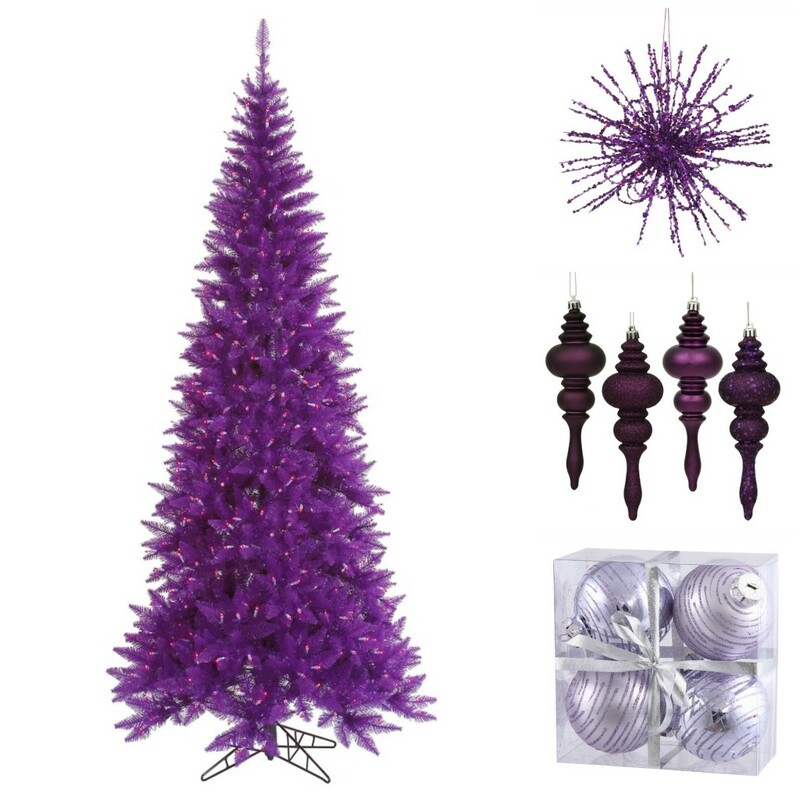 Purple Christmas trees can provide the perfect canvas for whimsical, peacock or glamorous decoration themes. However, it also looks enchanting when decorated with different shades of the color purple itself. For inspiration on how to decorate your purple Christmas tree, take a look at some of the themes below. You can find these decorations and more online at our Christmas superstore! This is the perfect theme for those that just can’t get enough of the purple hue. Try to find accessories in different shades of purple such as plum, lavender and violet. If your room’s decor features warm tones then pink, gold and red tree accessories are the perfect addition to your purple tree! Cool tones are ideal if your room is painted with gray or blue colors. Since purple is a cool color, it’s easily complimented by silvers, blues and other shades of purple. 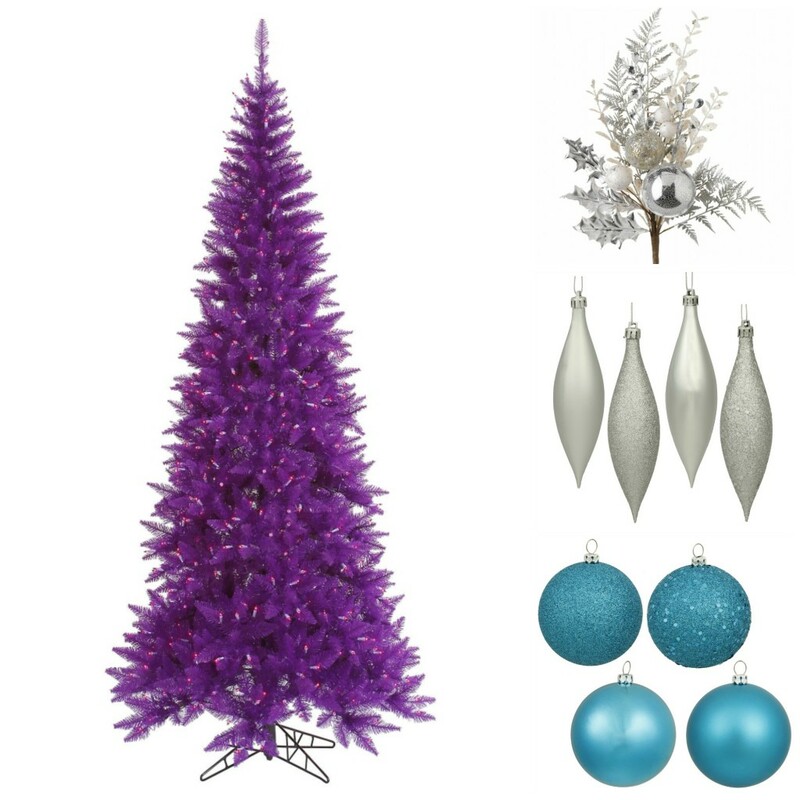 If you’re looking to really stand out this holiday season then choose multi-colored tree accessories in colors that will compliment your purple tree such as teal, hot pink and lime green.